The Barangaroo Delivery Authority was formed in 2009 to manage the delivery of the Barangaroo precinct on the foreshores of Sydney Harbour. Over the past eight years the landmark urban project had undergone a remarkable transformation, of great interest to the community and stakeholder groups. Barangaroo approached Wills to design their inaugural Project Update. 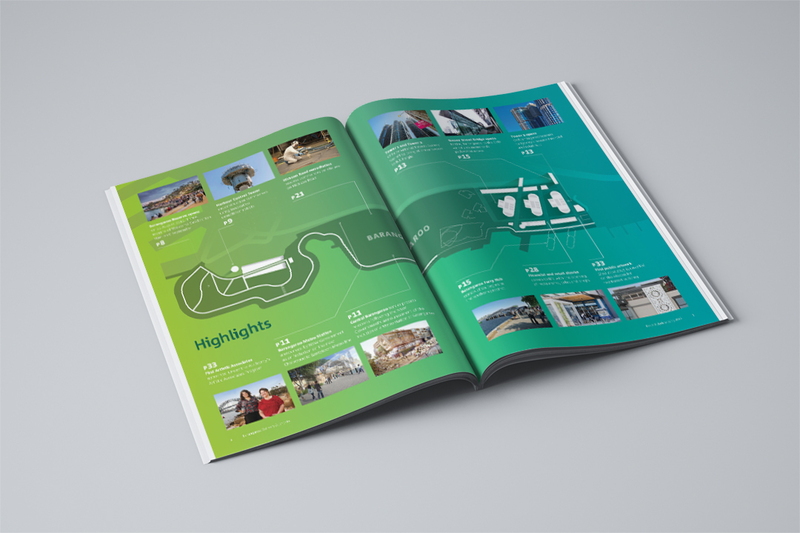 While their parliamentary annual report met their government reporting obligations, they required a print and online update that captured the intense activity and excitement of Australia’s most ambitious urban renewal project. Barangaroo is a 22-hectare site, divided into three very different parts: the headland park; a financial and retail hub; and a central recreation and residential precinct. With each part at different points of delivery, the challenge was to create a document that described the progress made with project delivery, the expertise of the people involved, and the many vibrant places that are coming to life. As the first Project Update, Wills worked closely with Barangaroo to create an information structure based around activity type, from recreation and environment, to dining, retail and work. A precinct map was created to convey key highlights from year, and detailed cross-sections of key infrastructure explained the word-class sustainability measures throughout the precinct. 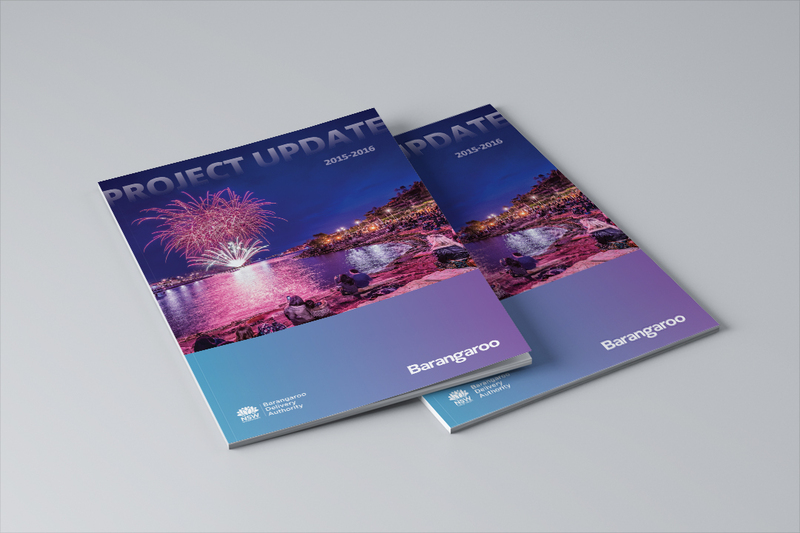 Combined with beautiful photography and insightful interviews, the Project Update is a comprehensive and engaging snapshot of Barangaroo in 2015-16.